The southern tip of Baja has been an adventure sports destination for 30 years – long before there was a paved highway to reach it. Cog Wild invites you to our 5-day Baja Mountain Biking Vacation to experience the extensive network of singletrack available right outside Los Barilles and La Ventana. We promise you will be surprised by how lush the trails are, as you marvel at the most diverse cactus population in the world from a well-maintained trail. Come prepared to be awed by the incredible views from hard-packed ridge lines and excited by granite features and slabs. We guarantee you will be thrilled by the purpose-built trails that are accompanied by a refreshing sea breeze – best enjoyed with friends. On this new and improved tour, we will start in the small fishing town of La Ventana, founded in the early 1940s by the La Paz pearl diver Salome Leon. The pearl of the area is now the acclaimed mountain biking network which we will spend our first couple of days riding. These trails are some of the most scenic trails on the peninsula and will leave you begging for more. We will travel from the beach to the mountains and back again, visiting the Sierra De La Laguna mountain range. These 7000-foot tall mountains that rise from the sea will beckon you with its evergreen forest and alpine lakes. 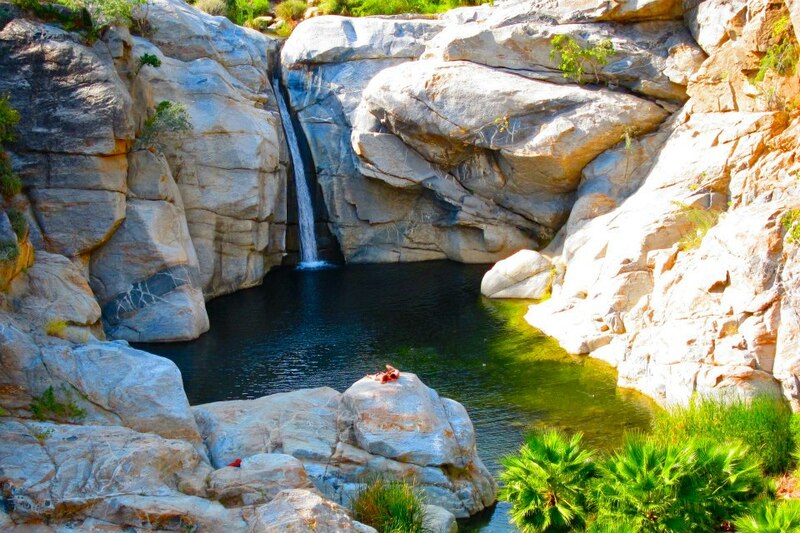 Once conquered, we’ll be heading to Los Bariles, the adventure capital of Baja. In Los Barriles we will ride our favorite old and new trails, showcasing the best singletrack the area has to offer. Other adventure options include hot springs, waterfall hikes, and snorkeling the coral reefs at Cabo del Punto. Your accommodations will be at La Ventana Resort and Playa del Sol, charming resorts by the sea. From your lodging will see why Jacques Cousteau called the Sea of Cortez “the aquarium of the world”. The turquoise waters, recently declared as a UNESCO site, drop dramatically right off the coast and are host to whales, manta rays, and thousands of varieties of tropical fish. Every day, following your rides, you will have a myriad of options to take advantage of your sublime location. Kiteboarding, paddle boarding, and snorkeling are just a sample of the temptations that await. Try out some of Baja's famous watersports like Kiteboarding and Windsurfing! 6 nights (double occupancy) at beachside resorts. Riding in 3 different locations with additional optional excursion. Local, expert, knowledgeable, friendly and caring guides. Transportation to and from the San Jose del Cabo (SJD) Airport, on the tour start and end dates. Cog Wild t-shirt and patch. **Bicycle rentals are available if needed for an extra charge. If you would like to bring your own bike we can accommodate. Bicycle rentals are available if needed for $300 for the duration of the trip. The bike rental available is the Marin B-17, a great bike for the local terrain. If you would like to bring your own bike we are happy to accommodate. 50 – 120 miles over five days. Distance varies according to riding level and ability. Sea level to 3,000 feet. Intermediate to advanced. Baja trails can be rocky or sandy with steep uphills or downhills. They are not appropriate for beginner riders. These are all heavenly cross-country singletrack trails in the deserts of Baja! Expect some rocks, some sand, some steep climbs and descents. Interesting plant life (including trailside cactus! ), desert wildlife and cool geology are a few of the things that make Baja mountain biking awesome. Not to mention the killer views! Los Barriles is on the Sea of Cortez side of the Baja Peninsula, between La Paz and Cabo San Lucas. 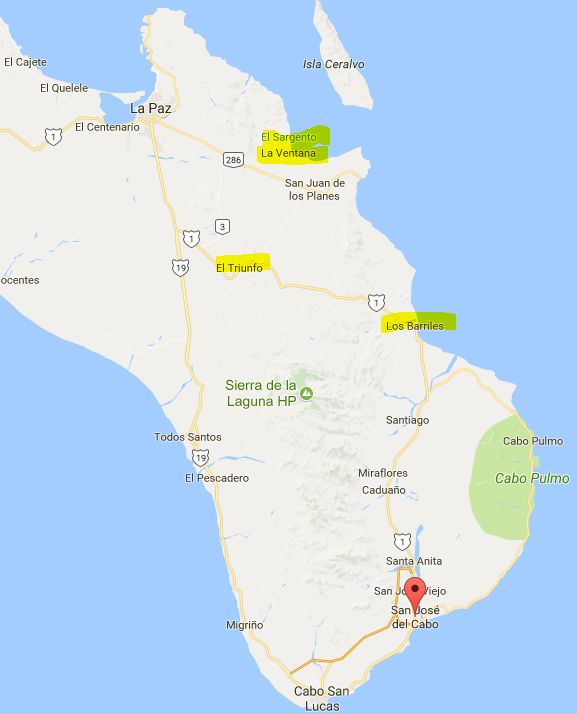 The recommended airport, Los Cabos Airport (SJD), is 45 miles south. There is shopping downtown, quiet and clean beaches and everything from taco stands to fine dining. The area is safe and super friendly. Typical winter weather in Los Barriles is 80º during the day and 65º at night. La Ventana is located 35 miles south of La Paz. It is a sleepy, safe and charming fishing village with an up and coming network of mountain bike trails. You will be staying at La Ventana Resort and Playa del Sol in Los Barilles. Both are located on the water and have SUP, kayak and snorkeling gear for guest use. See our full travel details and recommended packing list for this tour. Your Cog Wild guides will pick you up at the San Jose del Cabo airport and bring you to your lodging in La Ventana. Once you arrive you’ll have time to wander town, take a sea kayak out for an evening paddle or just relax by the pool with an icy margarita in hand. Today will spend 3 to 6 hours on a scenic guided mountain bike adventure outside of La Ventana. Evenings will be full of pool time, lounging, extra activities, cold beers or cocktails and famous Baja style fish tacos! Venture into the mountains to visit the historic town of El Triunfo! Ride through the Cactus Sanctuary and El Valle Perddito, large mountain landscapes and oases in the middle of some of Baja’s remote mountains. Ask your guide about the amazing cappuccinos, wood fired pizzas, artisan breads, margaritas and hand made silver jewelry. This historical mining town in the Sierra Laguna Mountains holds many secrets waiting to be discovered. Arrive in Los Barilles and get settled in to your new accommodations at Playa del Sol. Today will spend 3 to 6 hours on a scenic guided mountain bike adventure exploring the Baja desert on ripping singletrack outside of Los Barilles. 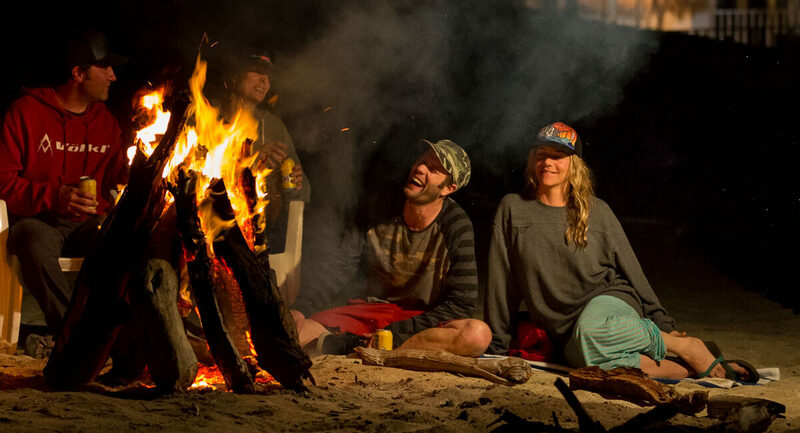 Evenings will be full of Cog Wild Baja style relaxing and adventuring! Unfortunately, all good things must come to an end. After an early breakfast, riders that have enough time will go on final mountain bike ride, then say goodbye—until next year, right? An organized shuttle back to the airport will be available. The best flight times from San Jose Del Cabo are between 1:30 and 4:00.